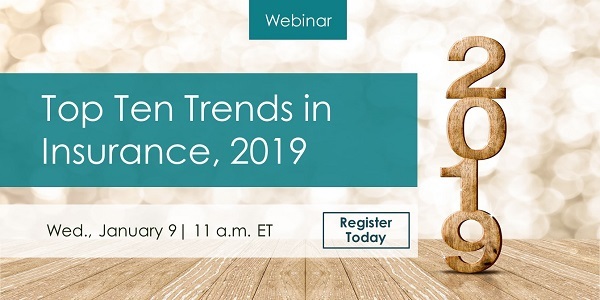 Join Aite Group research director Michael Trilli and his team for a one-hour webinar as they identify 10 trends that will shape the insurance landscape in 2019 and beyond. Greg Donaldson is a senior analyst with Aite Group’s P&C Insurance practice. He has over 25 years’ experience in the P&C and life insurance industry, working with property claims, injury claims, underwriting, sales, training, and analytics. Inci Kaya works within Aite Group’s Health Insurance practice and covers healthcare payments, health IT, evolving market trends, and vendor evaluations and their implications for industry stakeholders. Ms. Kaya brings to Aite Group 10 years of experience in advisory research, strategic market insights, and analysis working with financial services, IT service providers, and healthcare industry clients.